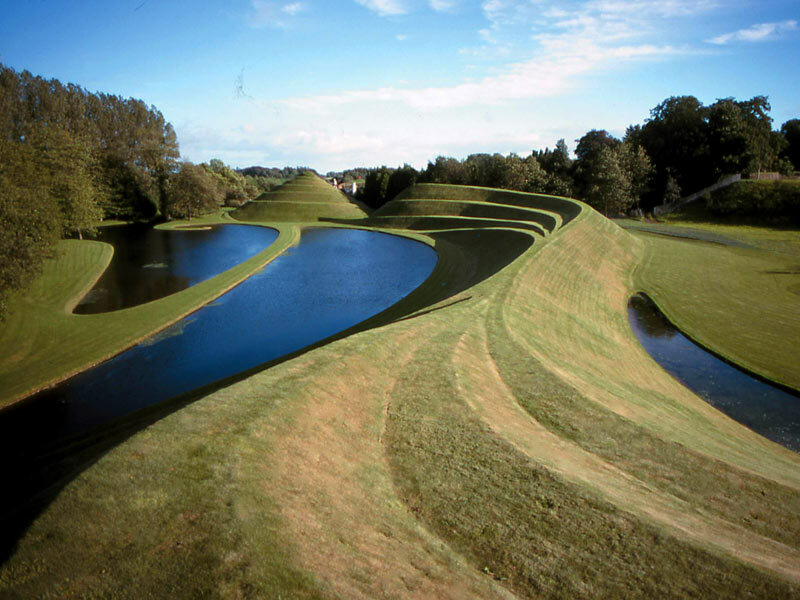 You can not believe how excited I am today to discover that I will be able to visit the Garden of Cosmic Speculation in my hometown of Dumfries. 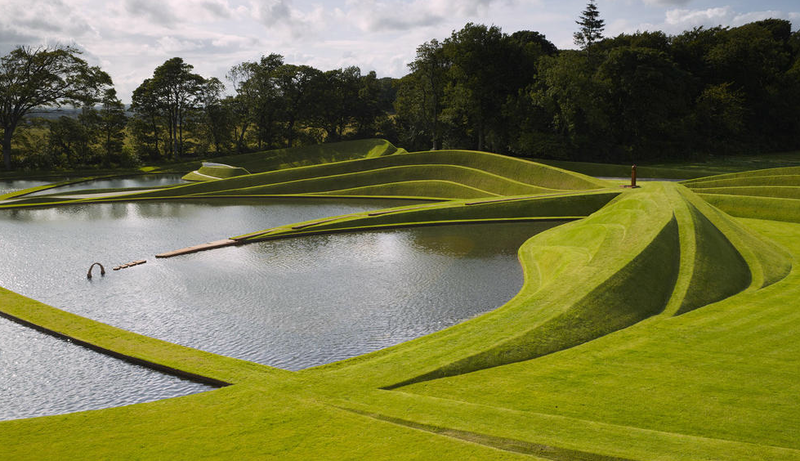 Designed by Charles Jencks and his late wife Maggie Keswick, the garden is one of Scotland’s best kept secrets. It is one of the most important gardens in Europe, but due to a lack of funding, it is only open for five hours each year, on the first Sunday of May. 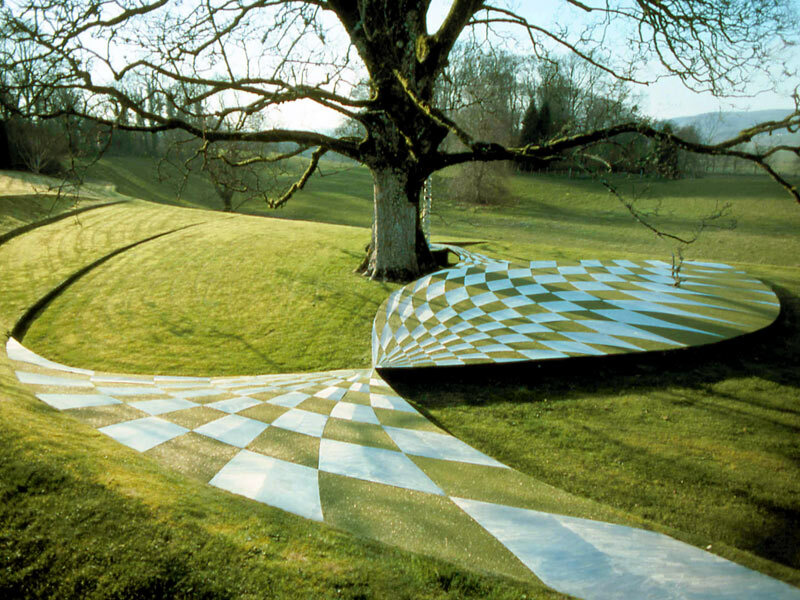 The garden is a landscape that celebrates the new sciences of complexity and chaos theory and consists of a series of metaphors exploring the origins, the destiny and the substance of the Universe: a celebration of the universe and nature, both intellectually and through the senses. The greenhouse roof is decorated with 12 equations that throw light on the laws of the universe. And the garden’s most prominent feature is the Universe Cascade (above), symbolically tracing the story of life over 15 billion years. 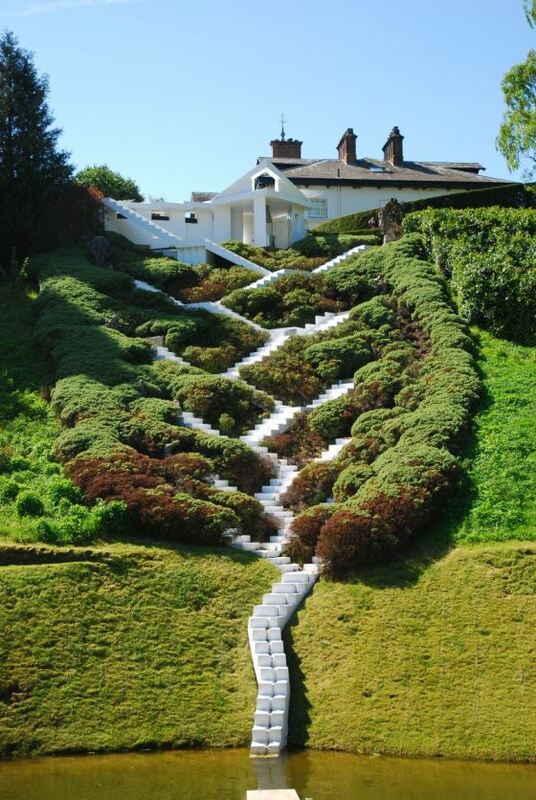 I honestly do not know that much about the garden. Although Dumfries is my hometown, I only found out that the gardens existed a couple of years ago, and I have never been here for the opening day. But I will this year! I thought I would share this article now, in case any readers of this blog are interested in visiting. The garden will be open on May 6th, 12:00 – 5.00, admission £6. Below are some more photos. I will be taking many of my own photos, and hope also to make a video while I am there.